Reginal Johnson was the SWAC preseason Player of the Year. Senior Reginal Johnson left Devlin Fieldhouse on a stretcher after breaking his leg Wednesday as the Alcorn State University men’s basketball program fell to Tulane 81-65. Johnson is expected to miss the remainder of the season. The Braves trailed 12-10 with 13:33 in the first half when Johnson landed awkwardly on the baseline after pulling down an offensive rebound. Johnson stayed down for over 15 minutes as an air cast was placed on his right leg. With his family, coaches, and teammates standing by, Johnson was taken off on the stretcher and transported to a nearby medical facility. The injured Alcorn State player is Reginal Johnson, the Braves' leading scorer. Been placed on a stretcher and his parents are standing next to him. Don't often see this in hoops. Johnson was Alcorn’s leader in both scoring (13.7 ppg) and rebounding (4.4 rpg) this season. He was named the 2017-18 SWAC Preseason Player of the Year after being selected to the HBCU All-America Second-Team last year. With the air taken out of the building after the stoppage, the Green Wave used a 27-1 run to leap ahead 31-11 with 5:51 left in the half. The Braves played the final five minutes strong, and a tip-in by junior TyQuaylon Smith in the closing seconds cut the deficit to 42-29 heading into the break. 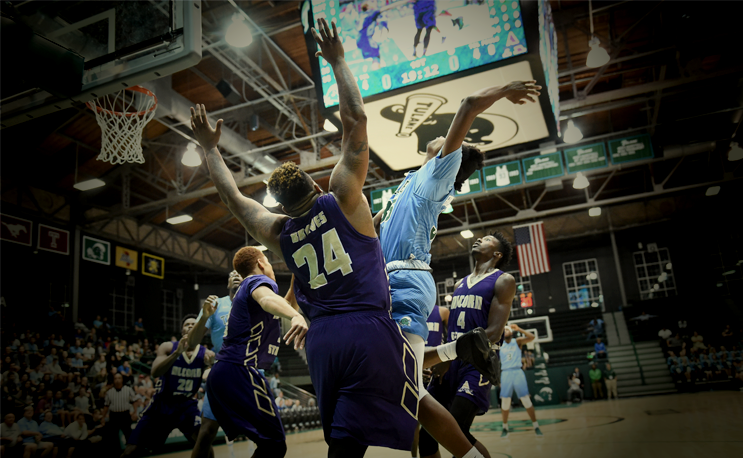 Tulane came out hot early in the second half and extended its advantage to 59-36 at the 15:12 mark. Alcorn fought the whole way and used a 9-2 spurt late to trail 75-62 with 4:13 to go after a lay-up by sophomore Devon Brewer. Mosby tallied team-bests of 19 points and seven rebounds. Sophomore Maurice Howard netted a season-high 12 points after drilling four three-pointers, and Brewer notched a career-high 10 points. The Green Wave were guided by Cameron Reynolds who scored 28 points.